﻿Tap into the central source of information about the Netherlands as the Dutch Digital Gateway to Europe. Prepare your launch or expansion in the Netherlands with facts, links and events about the Digital Gateway to Europe. This site is created by the industry, for the industry promoting the Digital Mainport. Join us on our Trade Mission to the Valley in October! 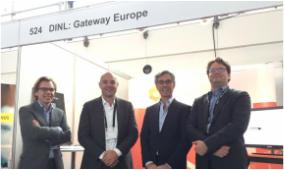 Digital Gateway to Europe is present at HostingCon Europe in Amsterdam. Europe's premier trade show for Cloud, Domeins & Hosting Business. Our team at HostingCon we can provide you usefull information how to kickstart your business in Europe. ​Boost your knowledge by joining our launchpad tour. 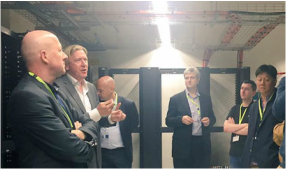 In 1 day we visit multiple data centers, have experts present and provide you all the details for your launch. As Digital Gateway we facilitate stands at exhibitions and Holland Pavilions. We have planned this for WHD in Rust Germany, Cloud Expo in London, UK and the Storage Expo in Utrecht, the Netherlands. And new in 2017 at the MWC in Barcelona. We have created a packages for three major exhibitions and more to follow. We do this via a collaboration with several organisations. It involves own company stands in an orange(!) Holland branding: Digital Gateway to Europe.